I had to travel to San Francisco this weekend for work, and was lucky enough to find some free time to photograph The Golden Gate Bridge. The topography around the bridge is absolutely beautiful. Shot from Baker Beach. 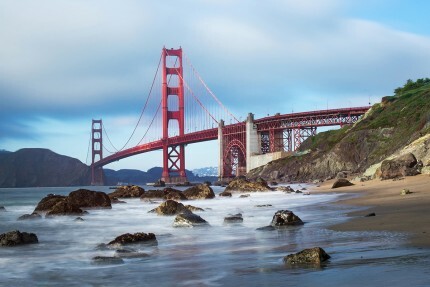 The Frommers travel guide considers the Golden Gate Bridge “possibly the most beautiful, certainly the most photographed, bridge in the world”. 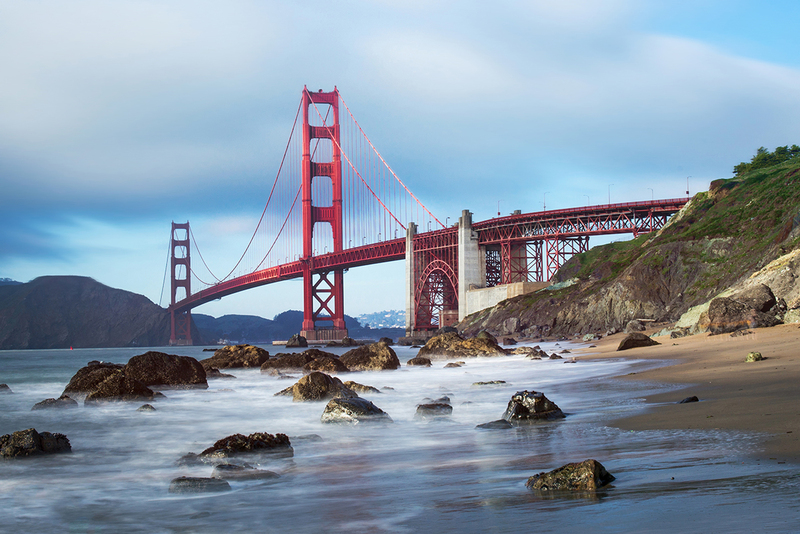 It opened in 1937 and was, until 1964, the longest suspension bridge main span in the world, at 4,200 feet (1,300 m).